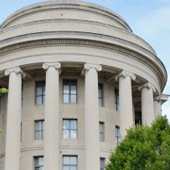 Federal Trade Commission (FTC) – The founder and president of a web-based telephone marketing service was accused by the FTC of engaging in a massive telephone marketing scheme using computer – based “Robotic” telephone calling technology in violation of various FTC rules. We were retained by the trustee of the case to perform computer forensics imaging and analysis of over 50 computers, servers, and other devices and to conduct an analysis of the data for the purpose of demonstrating the elements of the scheme. The case included participation in the on-site execution of civil search warrants with attorneys and members of the U.S. Marshalls Service, data analysis, and expert reporting.